The Clubhouse Network has a rich history extending back to our humble beginnings at the Computer Museum in 1993. We’ve since expanded across the globe to 100 Clubhouses in 18 countries serving over 25,000 youth. The first Computer Clubhouse opens at The Computer Museum (originally independent and later a part of the Museum of Science, Boston) in collaboration with the MIT Media Lab. A Girls’ Day (gender equity) program is established. Based on growing community interest, the Reebok Foundation provides funding for a second Computer Clubhouse at the Blue Hill Avenue Boys & Girls Club in Boston. The first non-US community-based Computer Clubhouse is opened in Esslingen, Germany. The Computer Clubhouse Network wins the Peter F. Drucker Award for Non-Profit Innovation. Computer Clubhouses are established internationally in Europe and South America. The Clubhouse-to College/Clubhouse-to-Career (C2C) Program is launched. The Clubhouse Village is launched, linking Clubhouse Members around the globe in an online community. Intel becomes title sponsor of the program with a commitment to bring the number of Clubhouses around the world to 100. The “Flagship” Computer Clubhouse moves to the Museum of Science, Boston. Adobe Systems, Autodesk, Macromedia, Hewlett-Packard, LEGO Systems, and Haworth Furniture sign on as Network sponsors. The Bill and Melinda Gates Foundation agrees to sponsor three Computer Clubhouses in the Pacific Northwest, over three years. Regional workshops are held for all Computer Clubhouses for the first time. By the end of 2001, there are nearly 50 Computer Clubhouses worldwide. Nominated by Adobe Systems, the Intel Computer Clubhouse Network is awarded laureate status by the ComputerWorld Honors Program, in the category of Education and Academia. Youth leaders from Clubhouses across the globe gather in Boston for the first Teen Summit, which becomes a biennial event. The National Science Foundation provides funding to start Hear Our Voices: Girls and Technology programs at 20 Clubhouses. The Computer Clubhouse celebrates its 10th Anniversary. 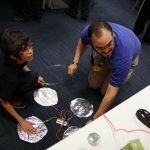 The Intel Computer Clubhouse Network expands to 87 locations in 17 different countries, serving over 20,000 youth. The Intel Foundation begins funding C2C Scholarships for youth. 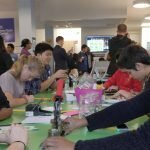 The Intel Computer Clubhouse Network hosts its second week-long Teen Summit for 185 youth from 15 different countries. By the end of 2005, 100 Computer Clubhouses are now located in 20 countries across the globe. A celebration of the 100th Computer Clubhouse is held in Washington, D.C.
Adobe Systems partners with The Clubhouse Network to offer the Adobe Youth Voices “create with purpose” program to 25 Computer Clubhouses. 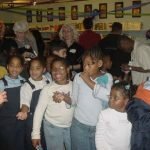 ICCN celebrates 15 years of building pathways to success for over 25,000 youth per year through skill-building, self-expression, and creativity. 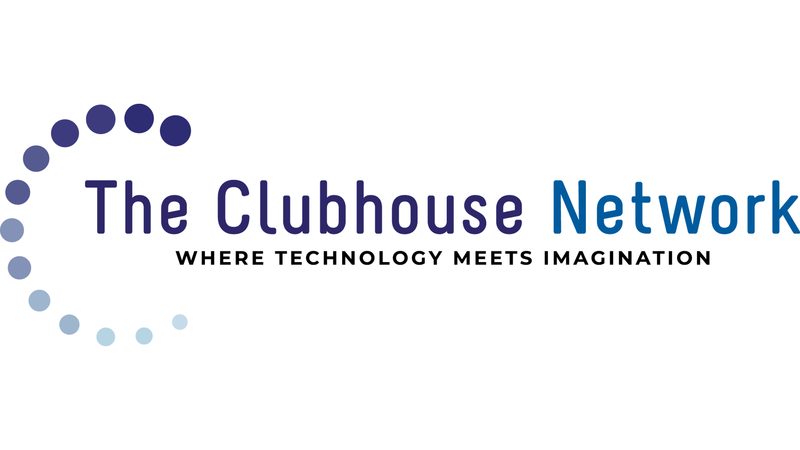 The Clubhouse Village is redesigned to encourage online collaboration between Clubhouses. Best Buy becomes a Network sponsor and implementation partner for four new community locations. 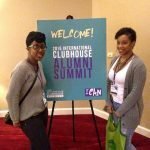 A survey conducted by SRI International of over 200 Computer Clubhouse alumni reveals that 97% said the Computer Clubhouse was the most important source of support for setting high goals and expectations for themselves. The Intel Computer Clubhouse Network was awarded the Boston Club Advancement Award for its commitment to community and improving the lives of women and girls. 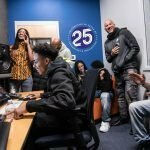 The Computer Clubhouse celebrates 20 years of empowering youth to become more capable, creative, and confident learners through the use of technology. Best Buy opens four Best Buy Teen Tech Centers implementing the Clubhouse learning model and space design in each of the new locations. In March, United States President Barack Obama visits the Al-Bireh Youth Resource Development Center in Palestine and meets with Computer Clubhouse staff and youth. 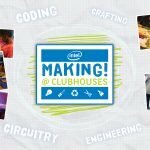 Intel partners with the MIT Media Lab and The Clubhouse Network to create the Intel Making! @ Clubhouses program. Best Buy opens four more Best Buy Teen Tech Centers, bringing the total to 8. 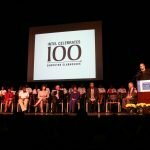 The C2C Scholarship Program celebrates 10 years. 30 Clubhouse members and alums from around the world receive awards. The Intel Foundation renews its commitment to the Clubhouse program for a 15th consecutive year. In April, Clubhouse alumni from around the world gather at the first-ever International Clubhouse Alumni Summit in Portland, Oregon. The U.S. Department of Justice awards The Clubhouse Network a 3-year, $1,000,000 grant to increase mentor participation and impact at Clubhouses around the United States. 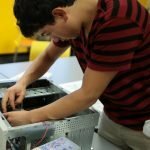 The Clubhouse Network launches its Clubhouse-to-Career Pathways to Success program to help prepare young people for the tech-reliant jobs of the future. The U.S. Department of Justice awards The Clubhouse Network a second multiyear grant (3 years, $2 million) to strengthen mentor participation around the United States. The global Clubhouse Network and its Flagship Clubhouse move to Dudley Square in Roxbury, a richly diverse and historic community in the heart of Boston. The Clubhouse Network celebrates 25 years of global youth impact!